TIPLS has led a number of significant preservation projects in the Park. It was responsible for the first architectural survey of the buildings that led to the 1982 listing of Thousand Island Park on the U.S. National Register of Historic Places. This was followed by the development of the Park’s preservation code, which is implemented by the Preservation Board and supports TIP’s listing on the register. Landmark holds easements on two TIP significant sites: the main dock and pavilion and the McIntyre Photo Shop building. 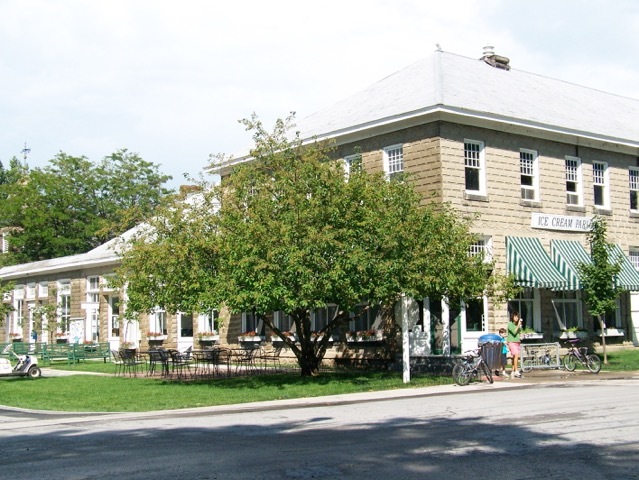 The information on Thousand Island Park that appears on the National Register of Historic Places has not been updated since the Park was originally listed in 1982. Landmark has started a major project to re-survey every building on the Park and update the information on the Register. We will also complete Historic Preservation Certification for the Pavilion, the Tabernacle, the Library and the Chapel. When complete, the public information on the history and architecture of TI Park will be accurate and accessible to Park residents, the public, historians, preservationists, architects and government. All of the updated information will be part of a searchable, electronic database. The information on Thousand Island Park that appears on the National Register of Historic Places has not been updated since the Park was originally listed in 1982. Landmark has started a major project to re-survey every building on the Park and update the information on the Register. We will also complete Historic Preservation Certification for the Pavilion, the Tabernacle, the Library and the Chapel. When complete, the public information on the history and architecture of TI Park will be accurate and accessible to Park residents, the public, historians, preservationists, architects and government. All of the updated information will be part of a searchable, electronic database. Landmark, with the TIP Corporation, funded the beautification of the “four corners,” in the heart of the Park and brought the steps of the Holden Library back to their original design. Funds raised from the Cottage and Garden Tour, held every two years, continue to support preservation projects in the Park. In 2015, all funds from this important event will go to rebuild the “four corners,” devastated by fire in August, 2014. 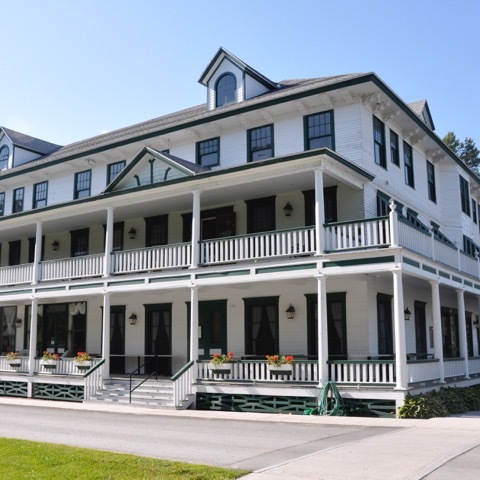 TIPLS promotes historic preservation through educational projects such as the Cottage and Garden Tour, presentations by historians, architects and other experts, special exhibits on TI Park history and architecture, and children’s activities. Each summer, in partnership with the TIP Corporation, the society hires an intern from a post-secondary historic preservation program to act as a community resource. The Landmark office contains a preservation reference library, including a database of all Park buildings. TIPLS worked with the Thousand Island Park Corporation to develop and produce the Park’s first preservation handbook. 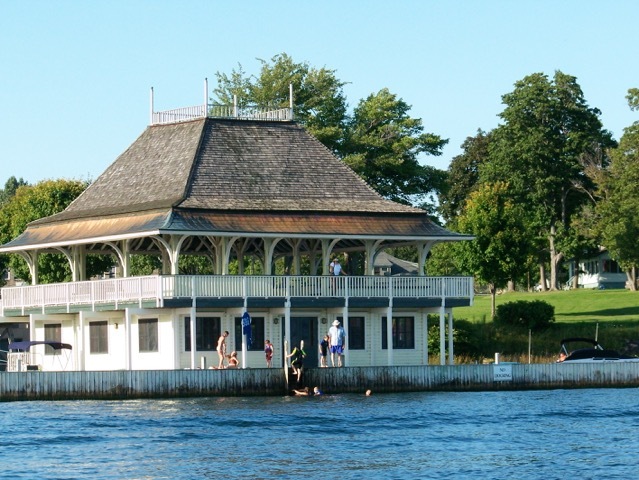 The Thousand Island Park Historic Preservation Handbook assists cottage owners in following the preservation code to preserve the historic integrity of their buildings and by extension, of TIP. Landmark presents awards to cottage owners who have renovated, built or maintained their cottages with exemplary attention to historic preservation.